360 pages. 275x215mm. Printed on gloss art paper, casebound with printed board covers. 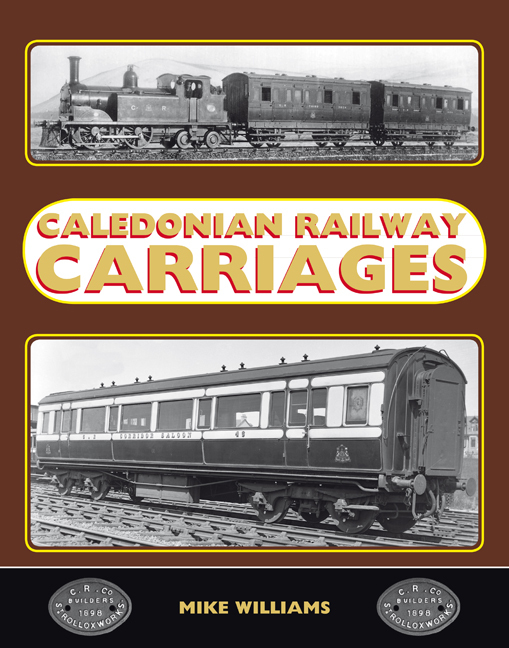 This long-awaited book describes the carriages owned and operated by the Caledonian Railway from its opening until the 1923 Grouping, with 250 photographs and over 300 drawings. The topics covered include the CR’s reaction to technological developments in railway passenger transport and the increasing attention paid to passenger comfort and convenience. The description of its carriage livery challenges some aspects of ‘received wisdom’ and deals with furnishing and internal décor. 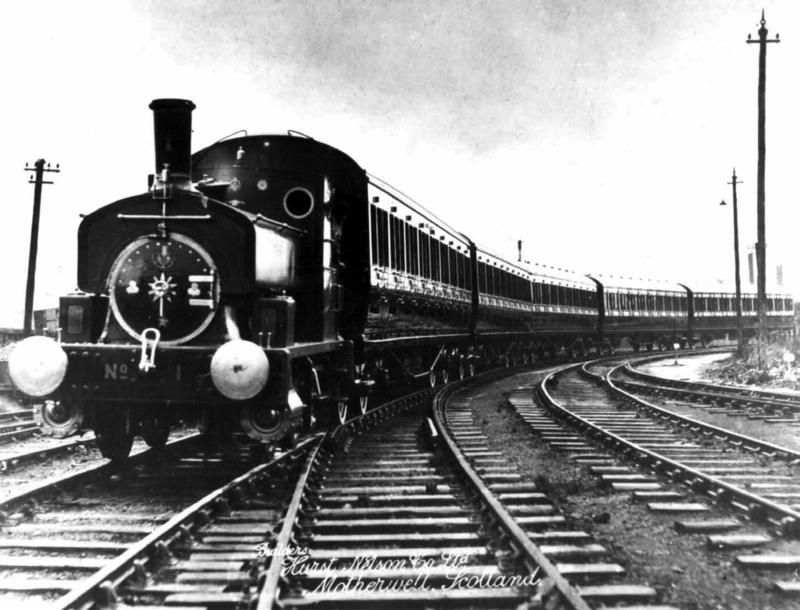 General service stock is reviewed to the end of McIntosh’s tenure in 1914, plus the carriages acquired from the West Coast Joint Stock fleet, the Pullman cars and the final designs in the Pickersgill regime. The CR Ambulance Train and other carriages in war-time service are described along with vehicles which were not part of general service stock. Saloons, Invalid carriages, Post Office vehicles, the Prison Van, Inchture horse bus and the Connel Ferry rail motor are all covered, along with some proposed designs that never saw service, including a steam rail motor. 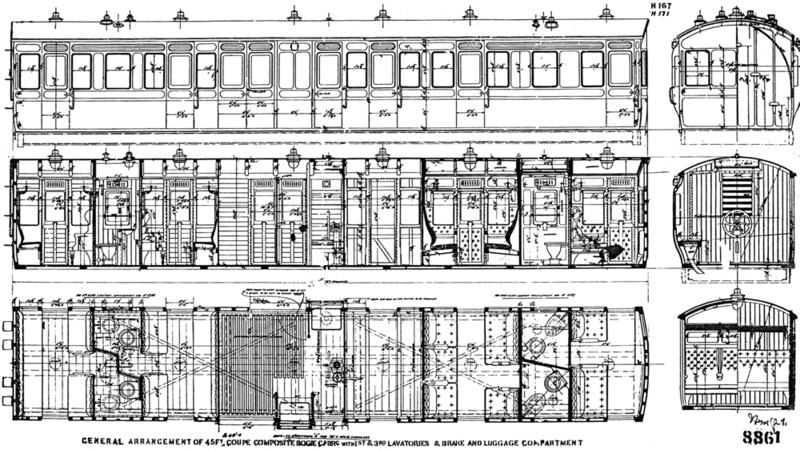 Appendices give information about the number of carriages in the fleet, their numbers, carriage orders and building dates and list the available drawings of carriages and components, with their location. The Hurst Nelson records have not survived, but some of the CR publicity photographs are used in this book. The firm’s immaculate Andrew Barclay works shunter heads a rake of five Diagram 118 9-compartment Thirds. Ten of these carriages were to be built by St. Rollox to order H351, but were sub-contracted to the Motherwell-based company for construction in the half year ending December 1921. Their numbers were 1410-1419. A further eleven were built by Metropolitan, one of which is illustrated in Plate 11.10. It’s good to see that the shunter echoes the Caley practice of resting the front coupling link back against the buffer beam. Diagram 31 Coupé Luggage Composite was a new design built in the first half of 1898. The drawing also carries the dimensions for the 48-foot 3 inch version to Diagram 36. This design incorporated lavatory facilities for the guard as well as passengers, as can be seen in the centre cross section drawing.